STEP 1: Click the Start Menu - > Programs -> Program Name -> Program Shortcut. 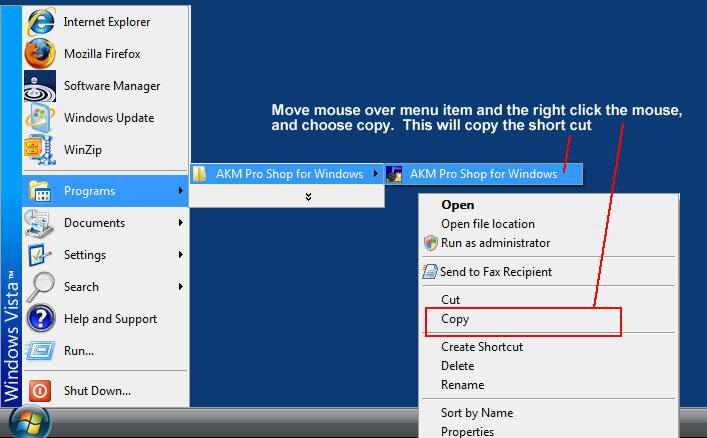 While mouse is over the Program shortcut (in this example it is AKM Pro Shop for Windows), right-click the mouse and move down to "Copy" and release. STEP 2: Next move the mouse to any open area on the desktop. 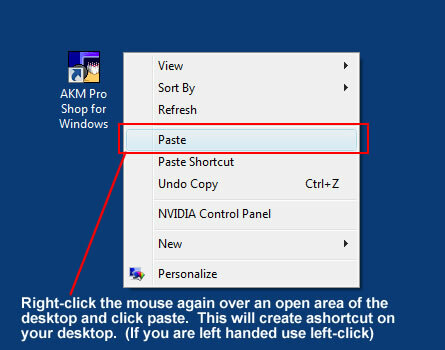 From there you will right-click the mouse again and select paste to paste the link. Once you pasted the shortcut, you can right-click on the shortcut again and rename it to anything that you want. Well, that is about it for this article.